Place all ingredients in the bowl of your food processor. Mix until they are well combined. Roll them into small balls. Use your finger to flatten slightly the top of each ball. 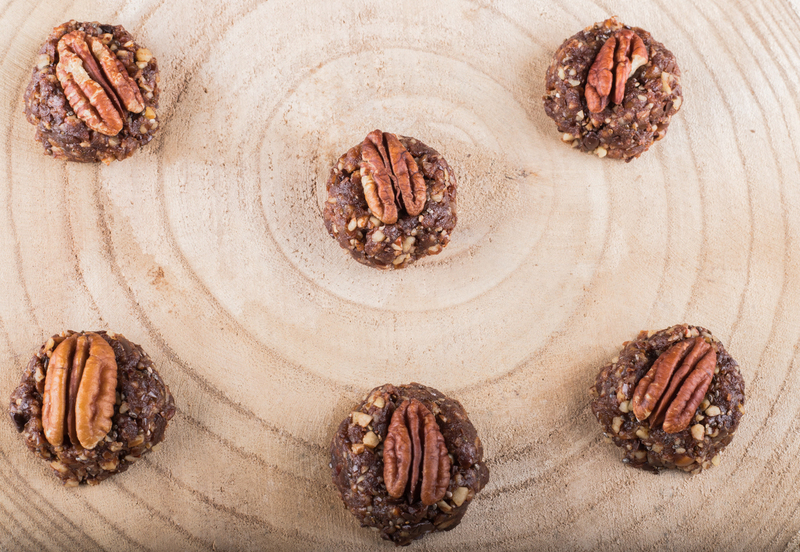 Place a pecan on top of the ball for decoration.